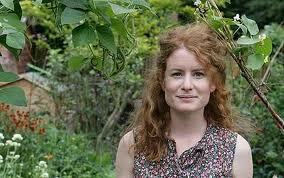 Leave a Comment on Gardening guru Alys Fowler on Bokashi. I guess everyone has heard about Alys Fowler except me. I came across this article she wrote for the Guardian a few weeks ago and it seemed to me a pretty good endorsement by someone who really knows what they’re talking about when it comes to gardening. She has quite an interesting life story — urban gardening in Manhattan, tv gardener for the BBC and into all sorts of projects and books on sustainable gardening and self-sufficient living.